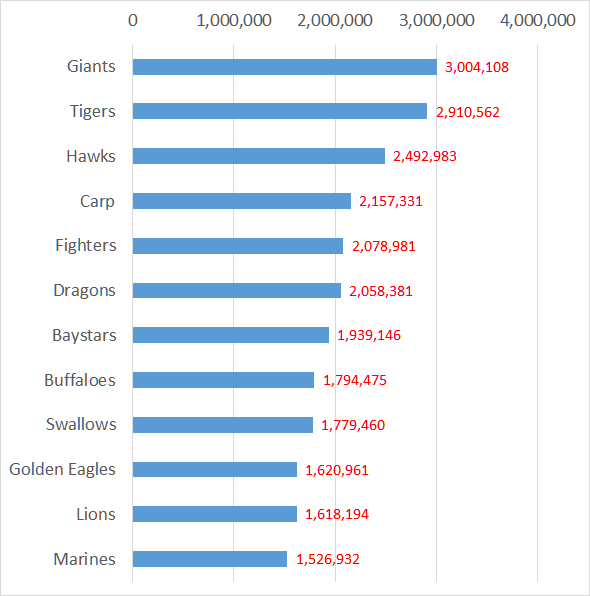 2016 Season Attendance Figures of NPB (Japan Professional Baseball) - How much is it in Tokyo? The tables below show 2016 season's attendance figures of NPB. The figure means the number of sold tickets. It includes someone who did not show up at the game in despite of having a ticket. So announced number does not mean actual number of guests. The actual nember may be less than the below. Source is Nippon Professional Baseball Organization.